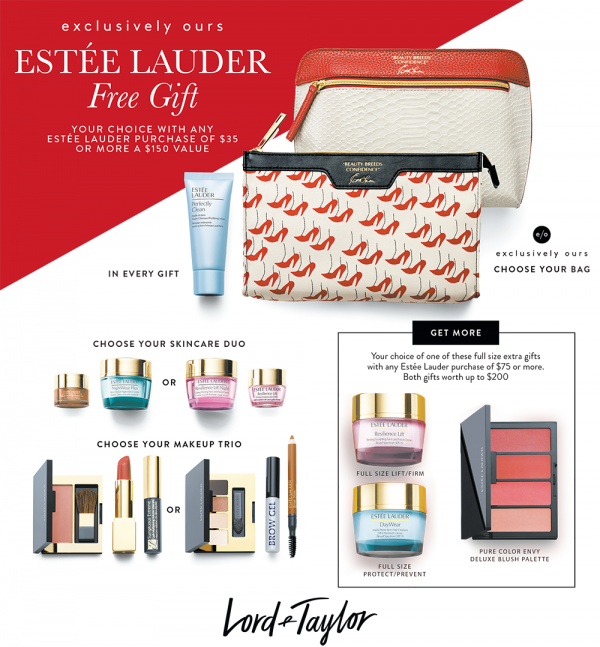 FREE Estee Lauder Gift with any $35 Purchase! Receive a FREE Estee Lauder gift, your choice with any Estee Lauder purchase of $35 or more – a $150 value! Offer valid 8/1 – 8/20. See store for full details.